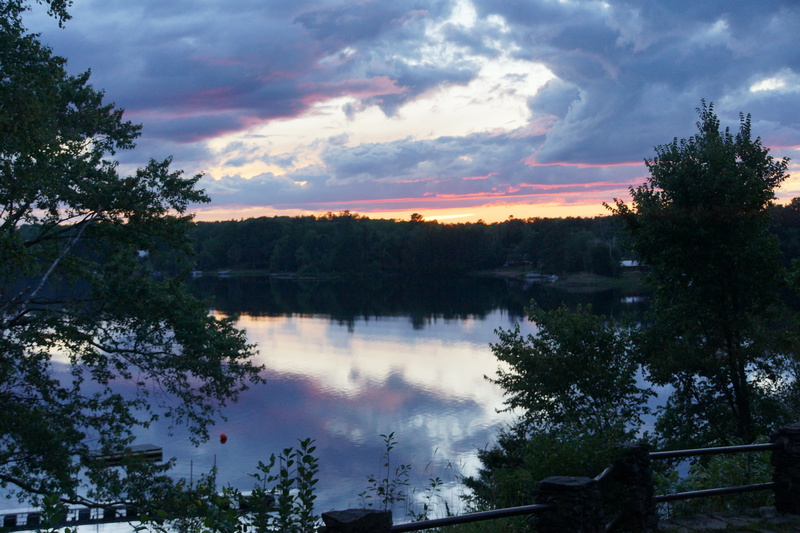 During the non-camp session weeks, Camp Esquagama hosts many rental groups and retreats throughout the year. 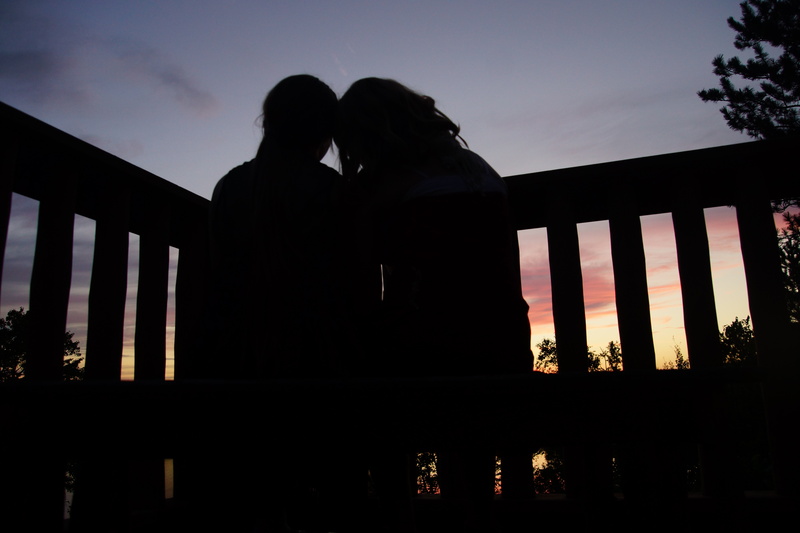 Our facilities are perfect for your retreat groups, youth group, or scout group. Our campground also adds a beautiful charm to your wedding, ceremony, meeting, or special occasion. If your group is looking for lodging during your visit to Giant’s Ridge, please check out our Group Lodging Page. 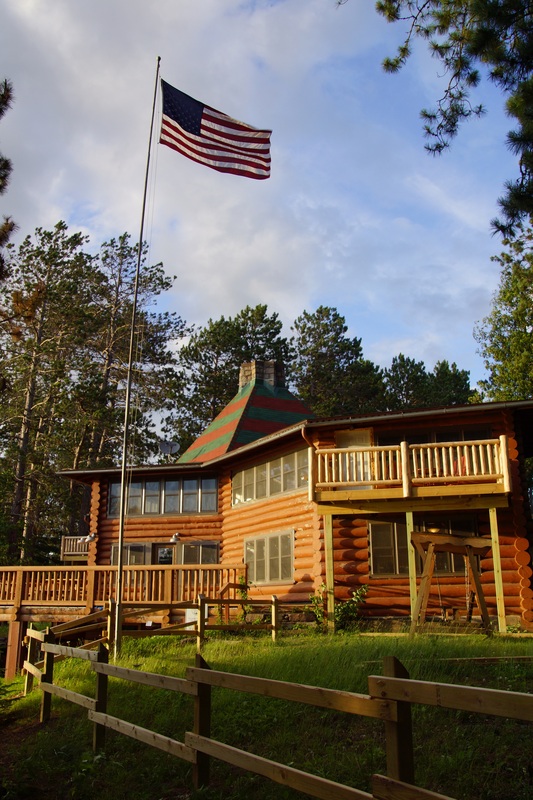 Built of virgin Norway Red Pine logs, moored firmly on a full concrete basement, the main lodge measures 120 feet at its greatest length and 80 feet at its greatest width. A double fireplace built of native granite blocks brought from various parts of the county adds an atmosphere of rugged comfort to the roomy lobby. 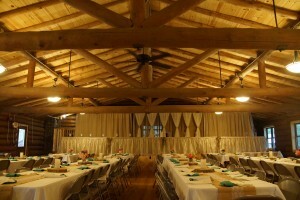 The spacious dining hall suggests an ideal place for gatherings and banquets. 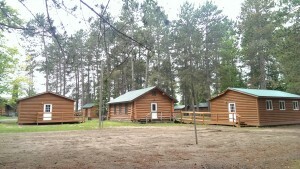 Eight beautiful log cabins and three platform tents are well equipped to accommodate over 100 campers. The kitchen is stocked with enough dishes, glassware, and silver to set tables for more than 150 guests. A well-lighted lobby and basement add room for study, recreation, and handicrafts. The recreational ground of 40 acres surrounding the building has a well-laid out swimming and boating area, athletic field, basketball court, volleyball court, gaga pit, indoor climbing wall, a barnyard, archery range, a sauna, a heated bathhouse and shower facility, greenery with rustic picnic tables, and a native forest and bog on our nature trail. Our log cabins beautifully match the same Norway Red Pine of our lodge. 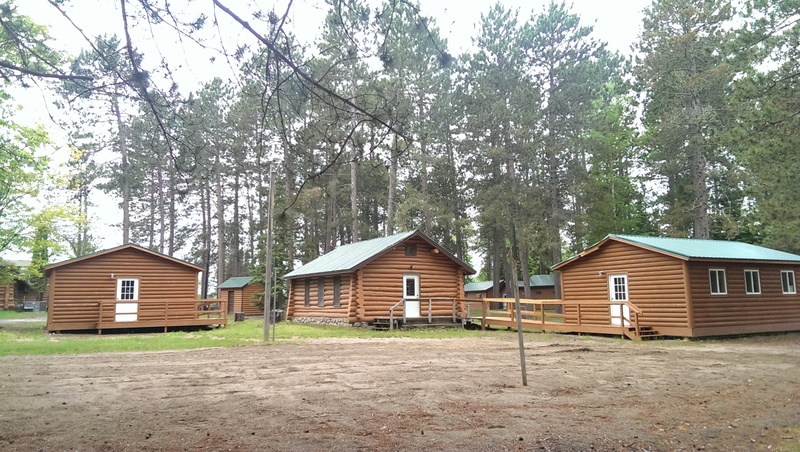 We have five newly built bunkhouse cabins along with 3 original bunkhouse cabins that are perfect for your group. They share a common shower house with restrooms and showers. Modern Bunkhouse Cabin: We have five modern bunkhouse cabins constructed with an open door wall divider separating the space into 2 rooms. One side holds 6 bunk beds and the other holds 2 single beds, 2 dressers, 2 desks & chairs. 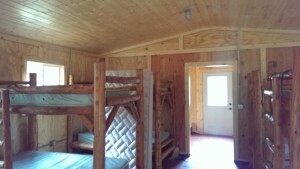 Each cabin is wheelchair accessible, insulated, and has space heaters, and multiple power outlets. Original Large Bunkhouse Cabin: Our large original log bunkhouse cabin has been reconstructed with an open door wall divider separating the space into 2 rooms. One side holds 5 bunk beds and the other holds 2 single beds, 2 dressers, 2 desks & chairs. 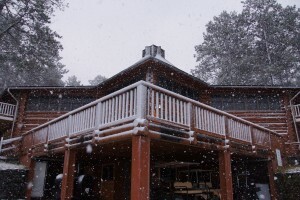 It is wheelchair accessible and is provided with power strips and a space heater. 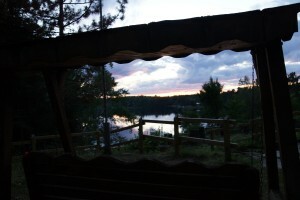 Original Small Bunkhouse Cabin: We have two original small bunkhouse cabins. Our smaller original log bunkhouse cabins each have 3 bunk beds, dressers for each bed, 2 desks & chairs. Each are provided with power strips and space heaters. Perfect for group leaders and keynote speakers for a little more privacy. 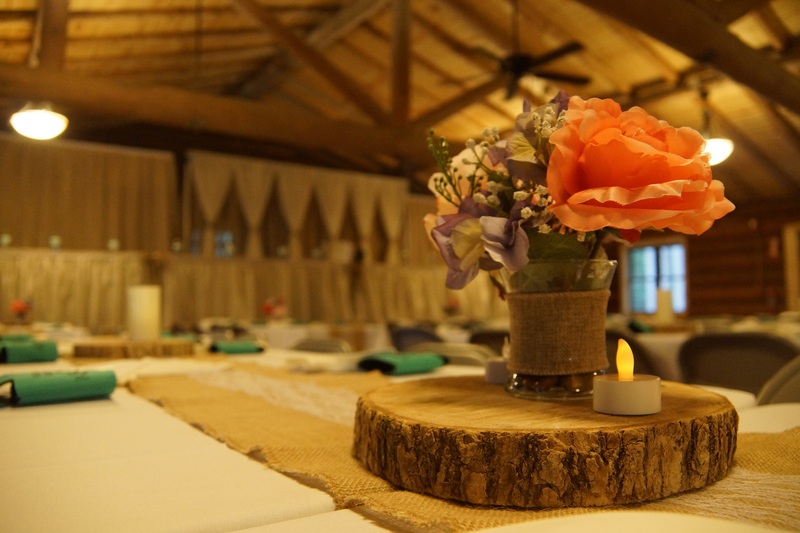 When it comes to planning for your event, we know you have a lot of options. 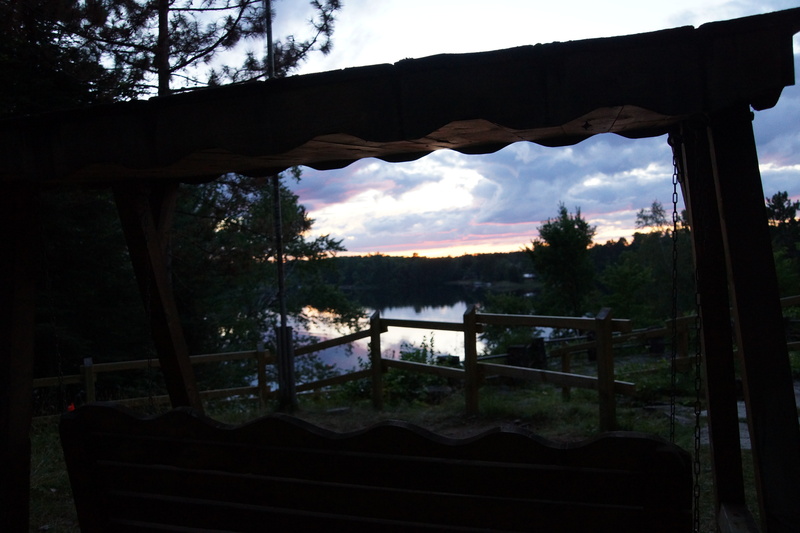 We welcome you to join us in the beautiful north woods of Minnesota on the shores of Lake Esquagama. 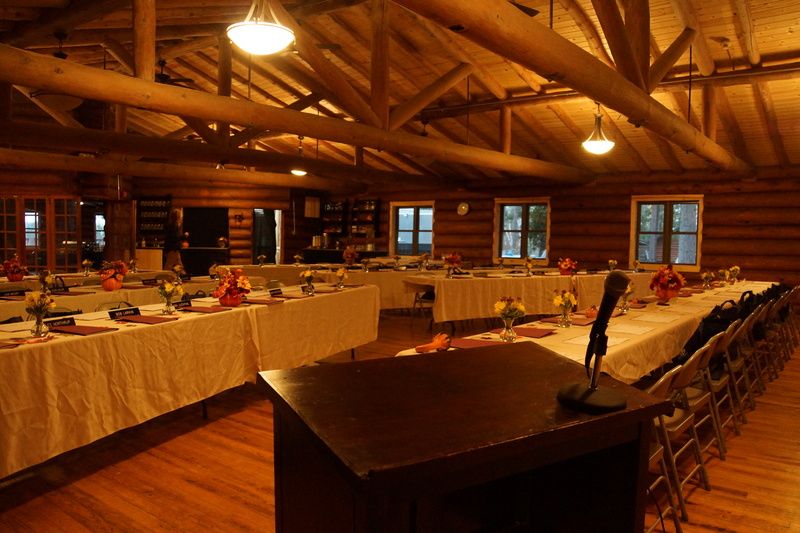 Our historic lodge adds a beautiful accent to your event whether it is indoors our outdoors. Stay for a day or a few nights as you decorate and get ready. 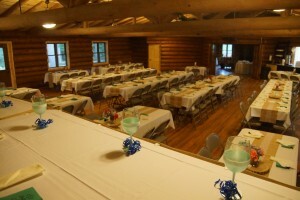 Contact us for a visit or to reserve the campground for your event. 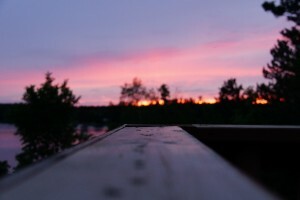 Thank you for visiting our site today. If you have any inquiries, we would be happy to answer any questions you may have. Please email us at info@campesquagama.com or call us at (218)-865-6589 for more information and availability.